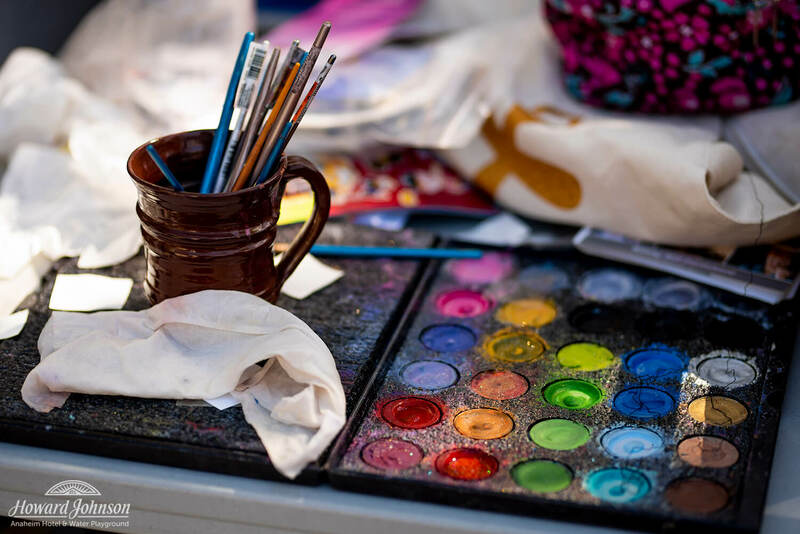 Whether you’re checking in, or on the way out to the park for the day — you can always swing by the HoJo front desk for some festive (and free!) holiday candy. Our friendly front desk staff loves to get festive for the holidays and will bring an extra helping of seasonal magic to your visit. Of course, a big perk of staying at HoJo is kicking back in one of our brand new retro-fun rooms. Bright, fun, featuring updated amenities, and packed full of Disney-inspired magic — our new rooms are the perfect home-away-from-home for the holidays. 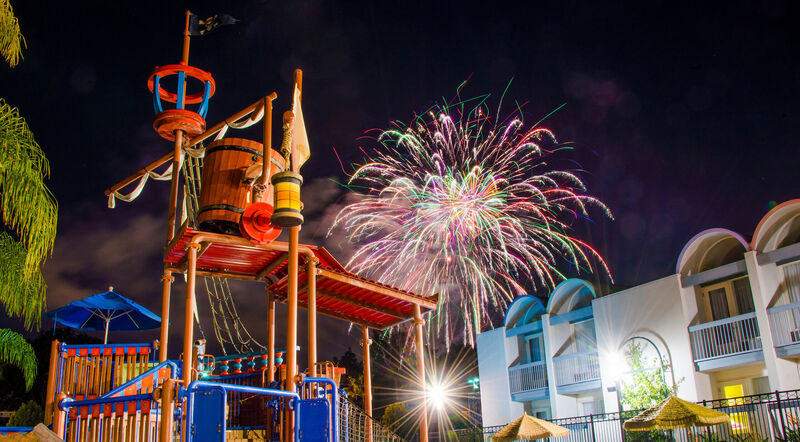 Spend the holidays on the high seas in one of our Pirates of the Caribbean-inspired Kids Suites! 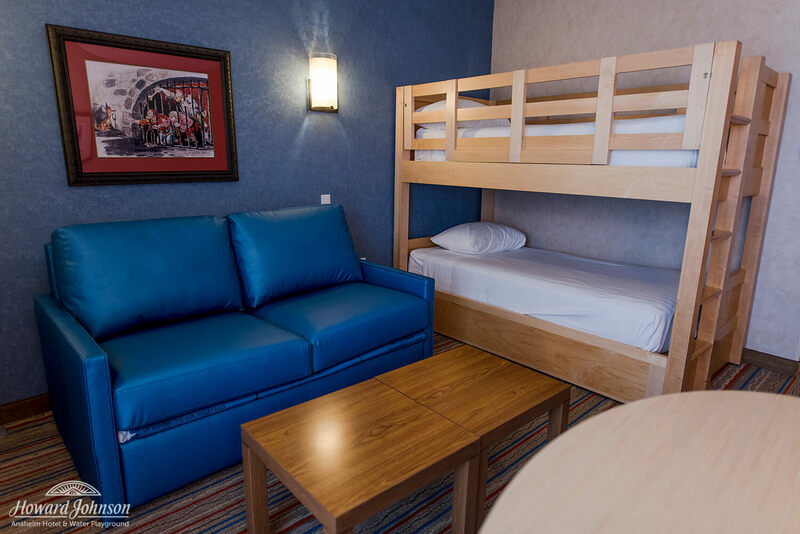 With two bathrooms, bunk beds for the kids, and a king bed for the parents — it’s the perfect getaway for the entire family! Join us every 1st and 3rd Saturday of the month for complimentary face painting here at HoJo Anaheim. What better gift for the holidays than staying across the street from the Matterhorn and just a short 10-minute walk to Disneyland’s main entrance? 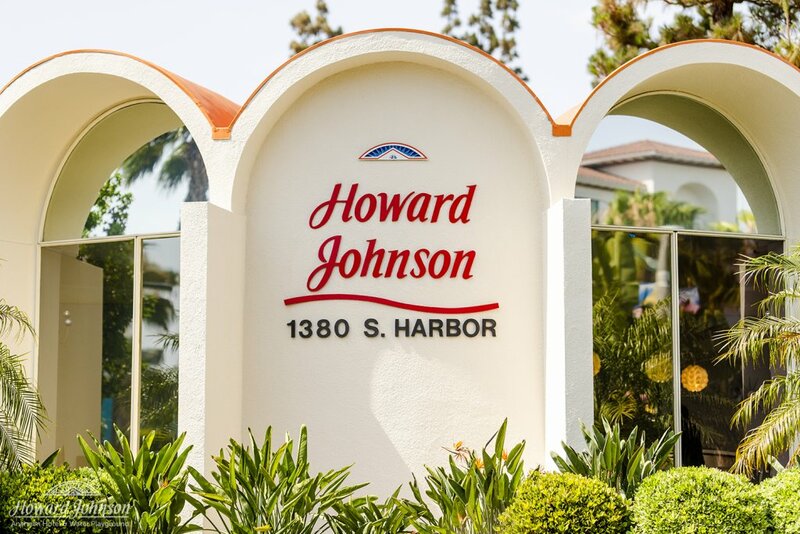 Did you know that HoJo Anaheim is about the same distance from Disneyland’s main gate as the Disneyland Hotel is? We’re really that close to the magic! Enjoy holiday fireworks without needing party tickets. Visiting before the end of Halloween Time? You can get a great view of Disneyland’s popular Halloween Screams fireworks from HoJo without needing to buy pricey party tickets! Get into the spirit with fun holiday photo ops and decorations throughout the hotel grounds! Bringing your holiday gifts but want them delivered to your room on Christmas morning? We can do that! Just ask the front desk staff for help when booking your stay! 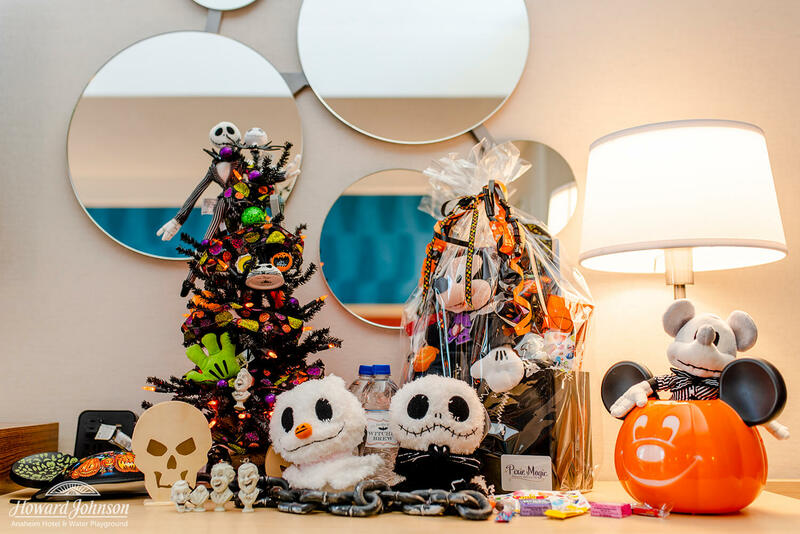 Rent a spooky Halloween Tree, get a festive Christmas Tree, or have your room totally decked out for the holiday with the help of our friends at Pixie Magic. With so much fun packed into HoJo throughout the year, all of our extra holiday time magic just makes a stay with us that much more special for your holiday getaway! 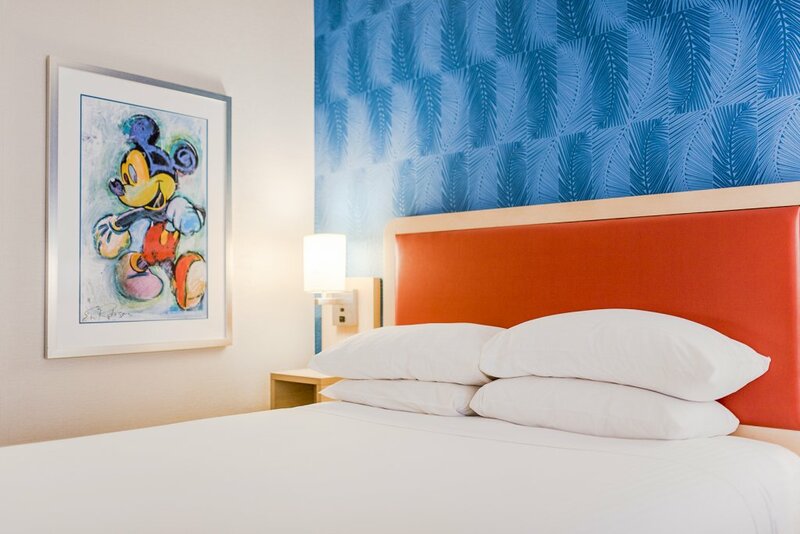 For more information and to book your visit, call our front desk at (714) 776-6120 or e-mail us at stay@hojoanaheim.com!